ThinkGenetic, Inc., a provider of direction for those living with genetic diseases, today announced that human genetics visionary and successful biotech leader Greg Grabowski, MD has joined its Board. ThinkGenetic, Inc., an interactive, web-based platform acting as a GPS for those living with a genetic disease or seeking to determine if their health problems are caused by a genetic disease, today announced that human genetics visionary and successful biotech leader Greg Grabowski, MD has joined its Board. Dr. Grabowski is a leading authority in genetic diseases and metabolic disorders with a career focus primarily in research in lysosomal storage diseases. Beginning in 1979 at Mount Sinai School of Medicine in NYC, Dr. Grabowski developed the world’s largest clinic for patients afflicted with Gaucher disease and other lysosomal diseases. 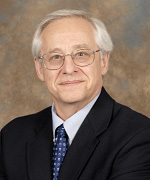 In 1992, he became the A. Graeme Mitchell Chair of Human Genetics, and Director of Human Genetics (DHG) at the Cincinnati Children’s Hospital Medical Center (CCHMC), as well as Professor in the Departments of Molecular Genetics and Biochemistry, and Pediatrics, at the University of Cincinnati College of Medicine. He has published over 325 scholarly works on the basic and clinical sciences of lysosomal storage diseases and genetics for which he has received national and international awards. In addition, Dr. Grabowski has continuously served on committees of the National Institutes of Health, national and state governments, and several philanthropic and patient foundations, including the Project Hope/Genzyme Gaucher Initiative. He is a member of the American Society for Clinical Investigation, the American Association of Physicians, and other scientific societies. He has served as President of the Society for Inherited Metabolic Diseases. In 2014, Dr. Grabowski joined Synageva BioPharma as their Chief Scientific Officer to continue the pursuit of therapies for rare, devastating, inherited diseases. Now, he holds positions of Chief Scientific Officer of Kiniksa Pharmaceuticals, Ltd. as well as Professor Emeritus of Pediatrics and Genetics at CCHMC. He also is a Consultant for and/or member of Scientific Advisory Boards for several biotech companies, including Alexion Pharmaceuticals and Lysosomal Therapeutics, Inc. In the age of cognition, ThinkGenetic, with IBM Watson™, will help patients understand what questions to ask doctors in order to improve medical care. ThinkGenetic is currently in an open beta format and is releasing its new SymptomMatcher, this summer. For more information on ThinkGenetic, visit http://www.thinkgenetic.com.